The coastal path, ‘le sentier des douaniers’, is set aside for walkers all round the Breton coast. 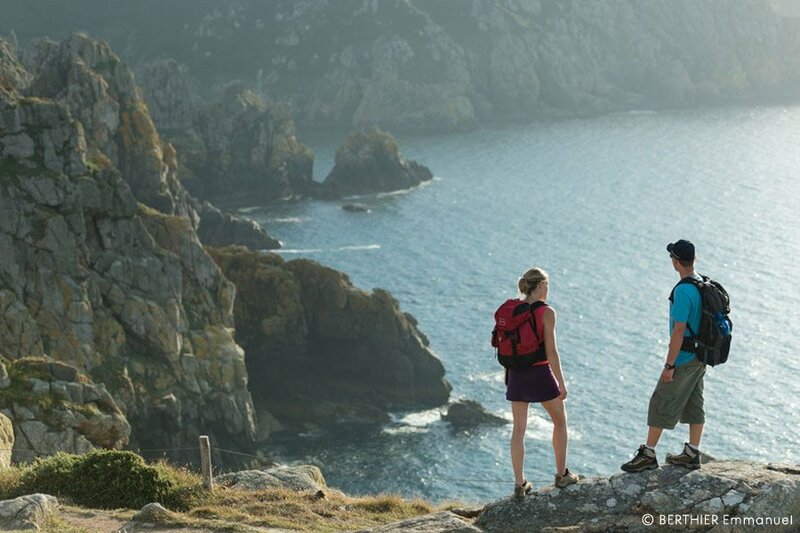 Simply to go for a walk or simply to muse and become one with Nature is perhaps the best way to discover Brittany’s bountiful diversity, its exceptional natural heritage. 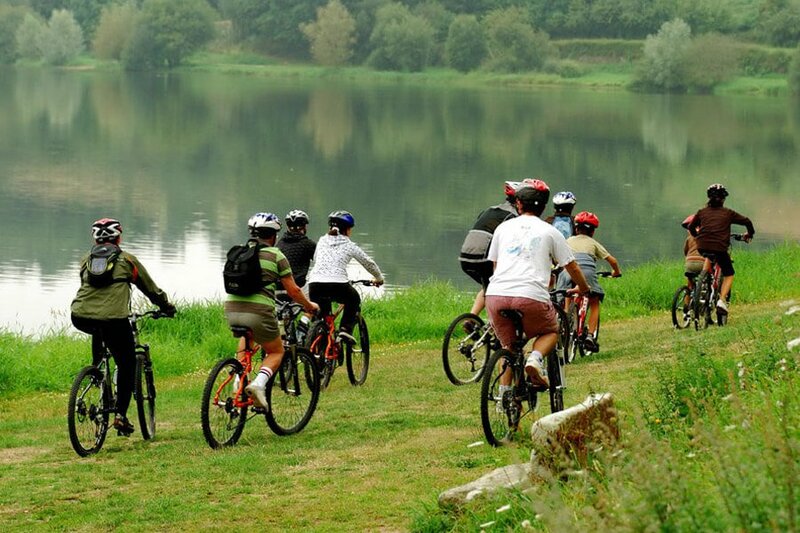 With its cross-country tracks, ‘veloroutes’ and green lanes, Brittany is ideal for bicycling. In the Côtes d’Armor you will find straightforward circuits, sign-posted and conceived with safety in mind, as a way to discover the sights, fauna and flora in the locality. By bike around the Emerald coast. Departing Matignon, from Cap Fréhel to the Point at St Cast Le Guido. By bike along the Penthièvre Coast. Departing Lamballe, skirt the Bay of St Brieuc, to Dahouét and Pléneuf St André. 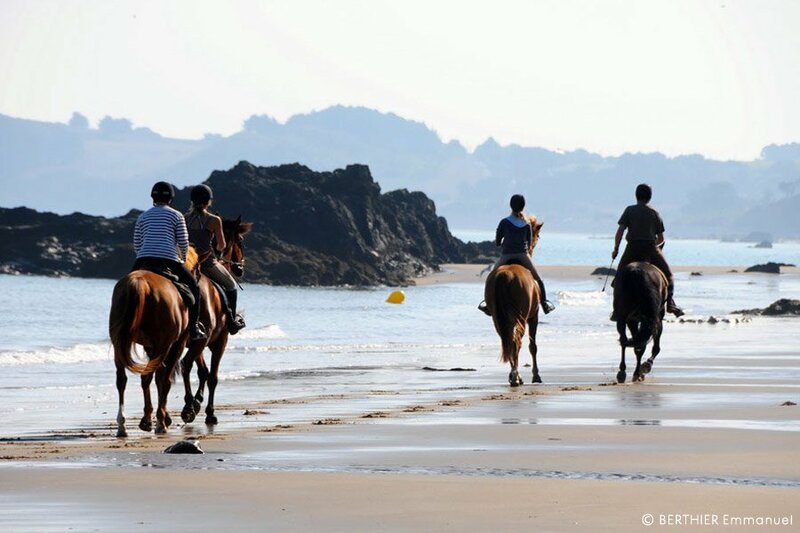 At a walk, a trot or a canter, exploring Brittany is a lot of fun. Learn to ride, or opt for a canter along the beaches, or through the forests. Proven riders can also follow the Equibreizh circuits. ( www.equibreizh.com ). Various riding centres propose sorties adapted to your level and to what you’d like. Why not go for a jaunt with the donkeys ? The Korrig’âne offer a half- or whole-day trips exploring the Penthièvre Coast, but differently. 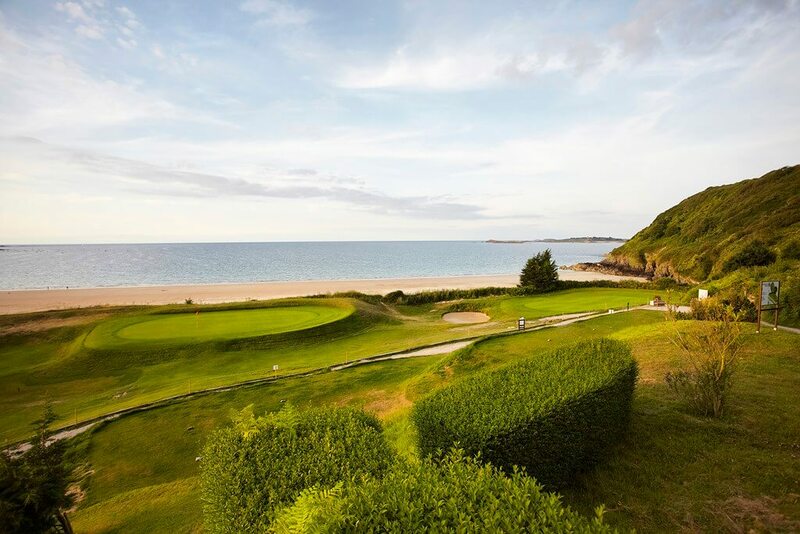 Less than ten minutes from the Manor, the GOLF BLUE GREEN overlooks the Vallées beach at Pléneuf St André, and is classed as one of the finest golf-courses in Europe. 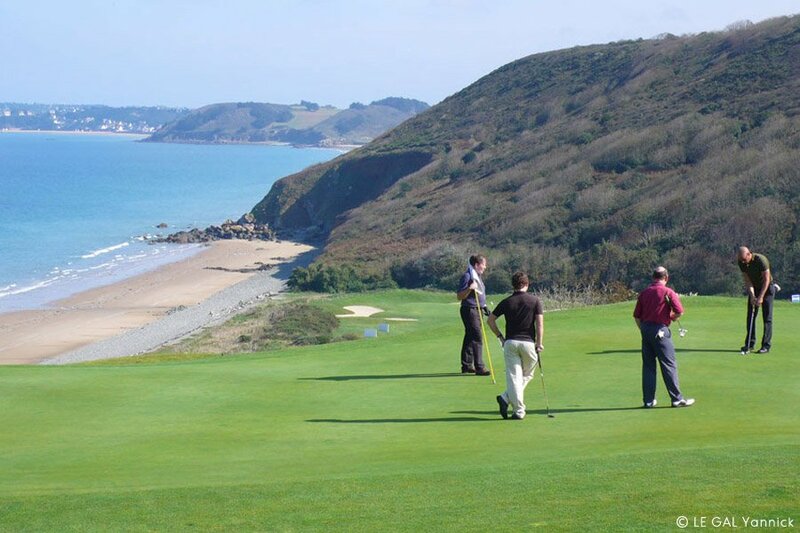 Right near Cap Fréhel, tucked away into the pines and the greenery, this 18-hole golf course is playable all year round, thanks to its sandy soil. 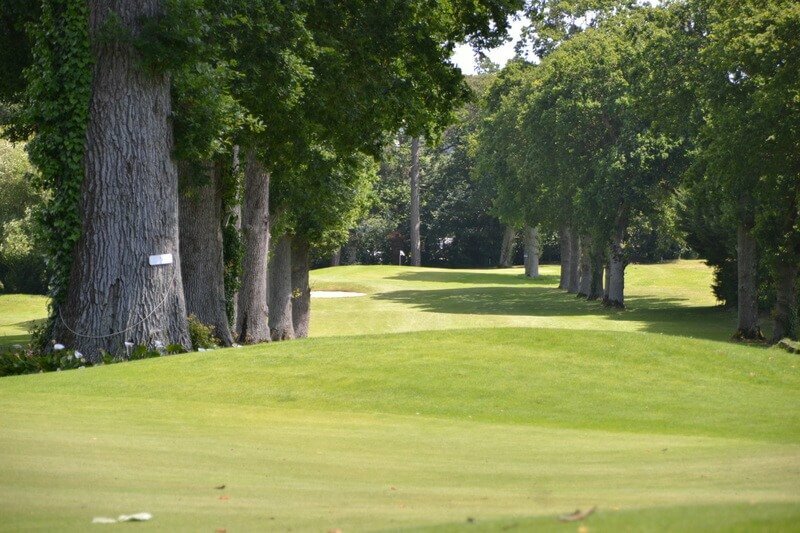 A very pleasant 9-hole course along a valley winding through the wooded park of an XVIIIth century Breton manor. 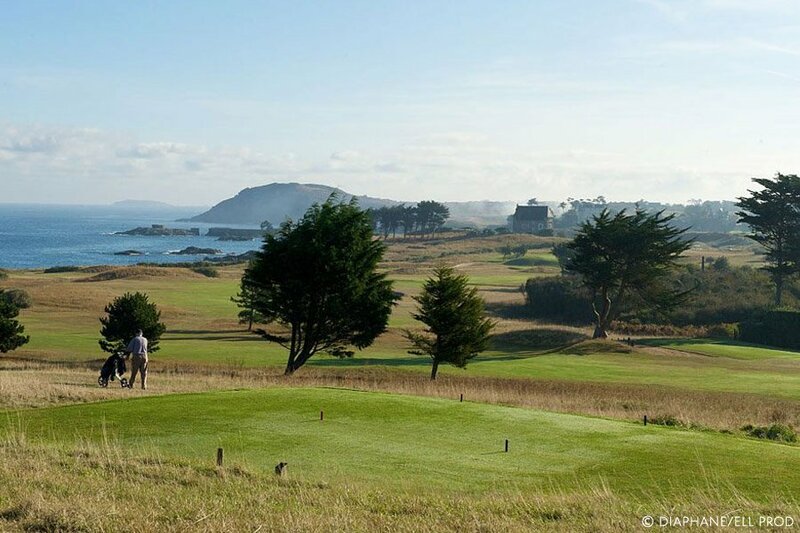 Located on the Emerald Coast, the seaside that can be seen from the 18-hole golf this is the second oldest in France after Pau (1856). 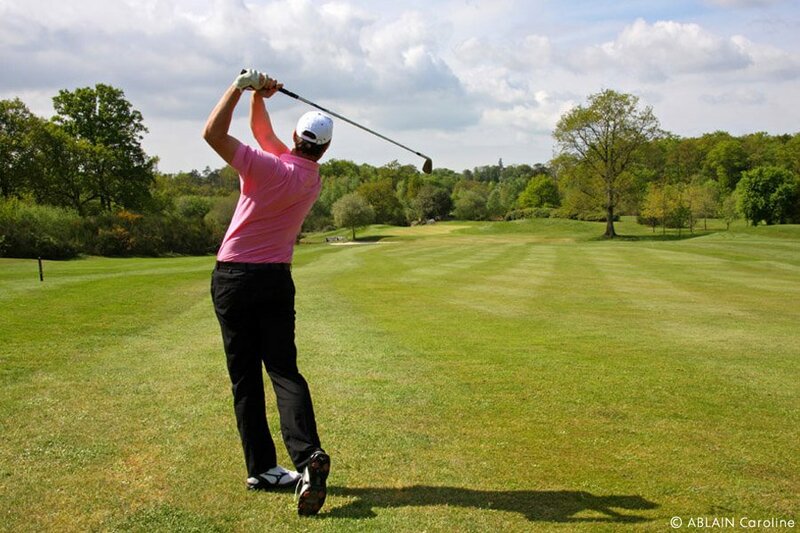 The Golf de Saint-Cast has a technical and spectacular course, to be played by golfers of all levels. beautiful view of the archipelago of Ebihens. 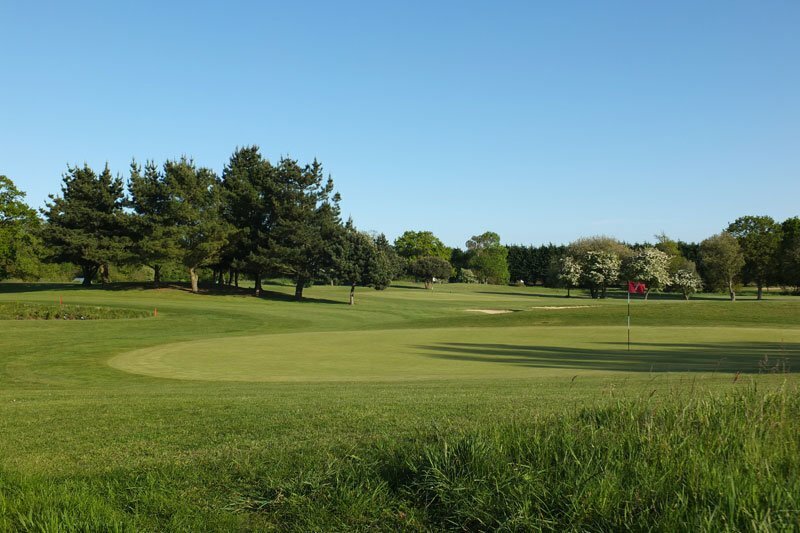 The Saint Malo Golf has 2 course: 9 "Old Course" holes is ideal for beginners. The 18 holes will delight enthusiasts. 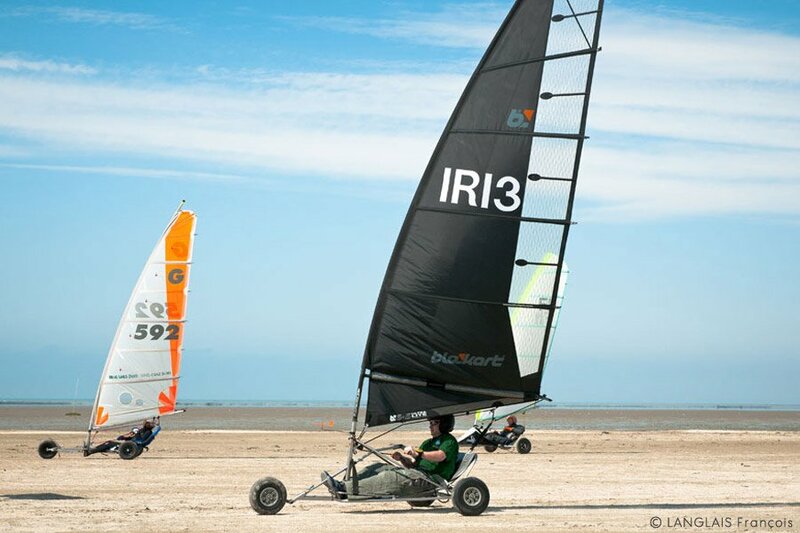 Whether you are a certified sea-wolf or a fresh water sailor, Brittany is a paradise for all water sport amateurs. Your holidays at the Manor of La Villeneuve will be spoiled for choice. Sand-carting, sailing surfboards, or catamarans, surfing, canoeing and kayaking on the river or on the sea, wake-boarding or waterskiing... Why not try diving?